Group size up to 100 people per area. 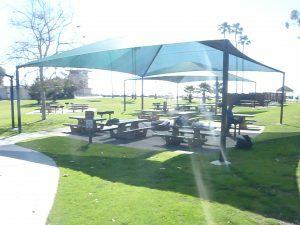 Each area has 6 picnic tables, 1 large fire ring, and 4 pedestal BBQ’s – all on concrete pads. 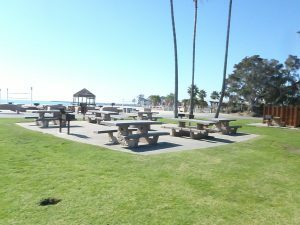 Alcohol may be consumed at sites 1 through 4 with the completion of an Alcohol Waiver Form that is available at Doheny State Beach or by clicking here Alcohol Waiver Form 19 The non-refundable alcohol waiver fees is $175.00 per site. 25300 Dana Point Harbor Drive, Dana Point, CA 92629. All fees are non-refundable and non-transferable. A $50 processing fee will be charged to all groups requesting a change in date or site once the reservation has been booked. Requests for transfers of date or site must be made in writing 30 days or more prior to the booked picnic date or they will not be accepted. No reservations are accepted for Memorial Day, July 4th, or Labor Day. FAXed or email requests cannot be accepted. We accept cash, checks, and Master Card or Visa credit cards (sorry, no American Express). 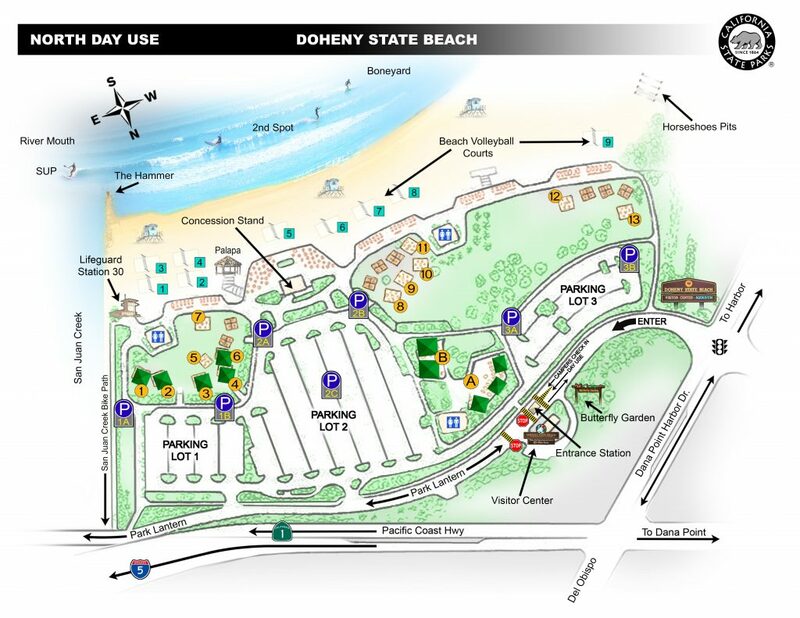 The Doheny State Beach picnic reservation information phone line is (949) 496-3617. Email address: doheny.events@parks.ca.gov. (949) 496-6171 Information line only, no voicemail recorder or live operator available.